Area: 243 sq km. Location: A small but very rugged range in the area of the Kemano diversion tunnels. 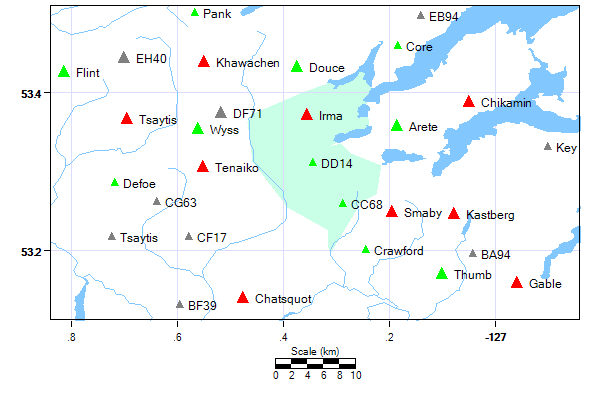 Includes: Stranack and Ptarmigan have been included in the range designation although their "membership" is indeterminate; but the col towards the Chikamin Range from Stranack is lower than the col towards the Tochquonyalla Range.